Radio Frequency Identification uses radio waves to extract stored information from various labels and tags. 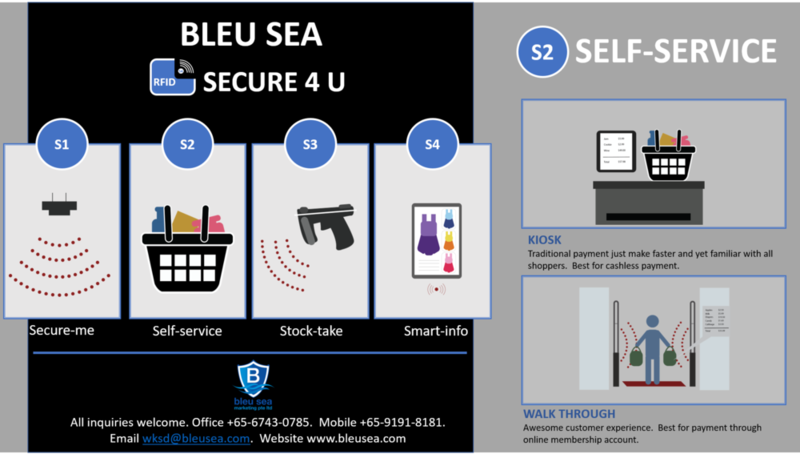 Our “Secure 4 You” solutions, quickly run you through the 4 essential RFID applications to suit your various business requirements. We understand the painstaking process in gathering accurate inventory records at your retail stores and warehouses. Not forgetting the need to provide the ever popular self checkout system that incorporates cashless payment in a seamless fashion. 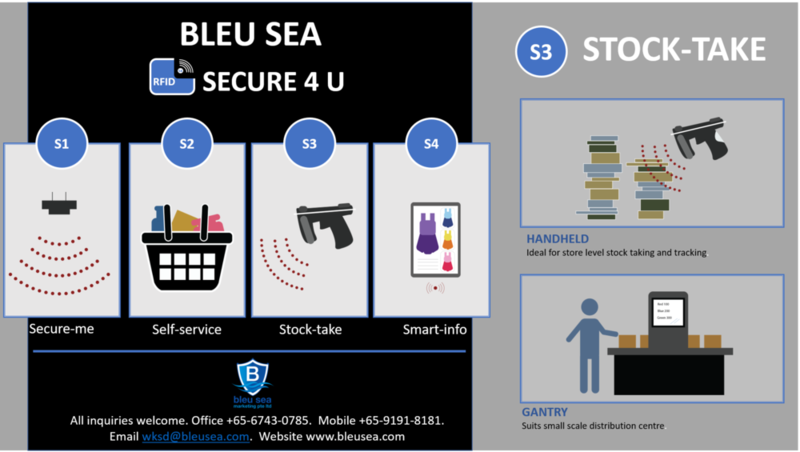 Wanted to track your store inventory against frauds and thefts and for stock count purposes? 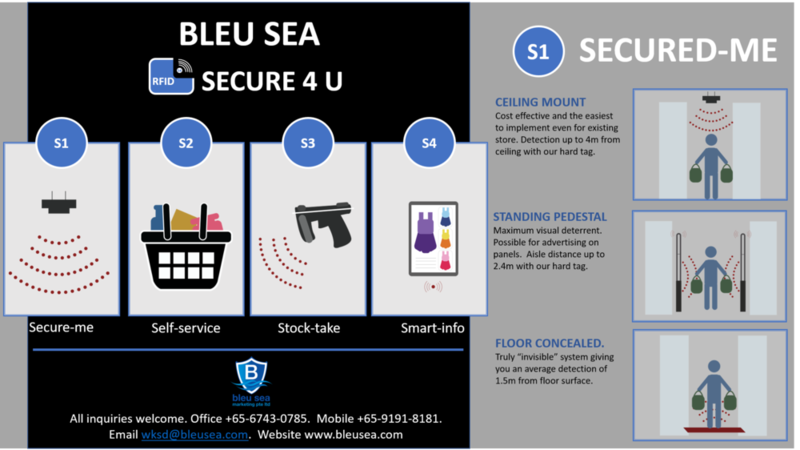 At Bleu Sea, we have the solutions to alleviate your paint points via our range of RFID products and software. We provide industrial class RFID Printers of various brands, which precisely read and write to UHF RFID labels. Our printers have have one of the smallest inlay space of 12mm in the market and readily support on various types of paper and anti-metal labels. Finding the most optimized writing position is just one push button away. We also supply consumables such UHF RFID labels, Active RFID Tags and ribbons. We have Linear, Circular and Narrow Field RFID Fixed readers and antenna that cater to different customers’ need and suit various applications. With a wide array of RFID product range, you can be assured that this technology will find its place in various operations needing security protection and precise tracking and monitoring. We market industrial leading UHF RFID handheld scanners that are linear directional or circular polarization capable. We believe in offering affordable handheld RFID solution with high CP value. Our readers are feature packed and readily serve your need in Asset Tracking and various operational requirements.